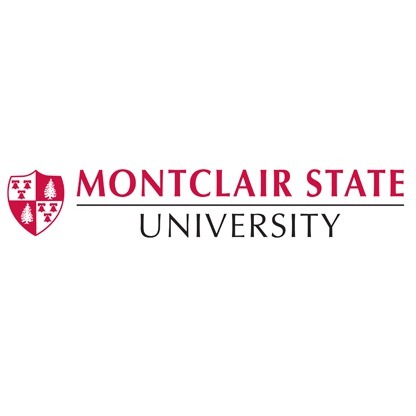 Andrew is thrilled to join the faculty of the Theatre and Dance program at Montclair State University, rated one of the top 100 public universities by the Wall Street Journal. Andrew will bring his deep knowledge and unique teaching style to an already a stellar program with enthusiastic students. The semester begins this month! Andrew Nemr joins Lori Belilove and the Isadora Duncan Dance as an Artist in Residence at the McBurney YMCA this fall. For his residency Andrew will be developing a series of online tap dance classes, and developing a new body of choreographic work. This marks further growth in Andrew’s relationship with the McBurney YMCA. 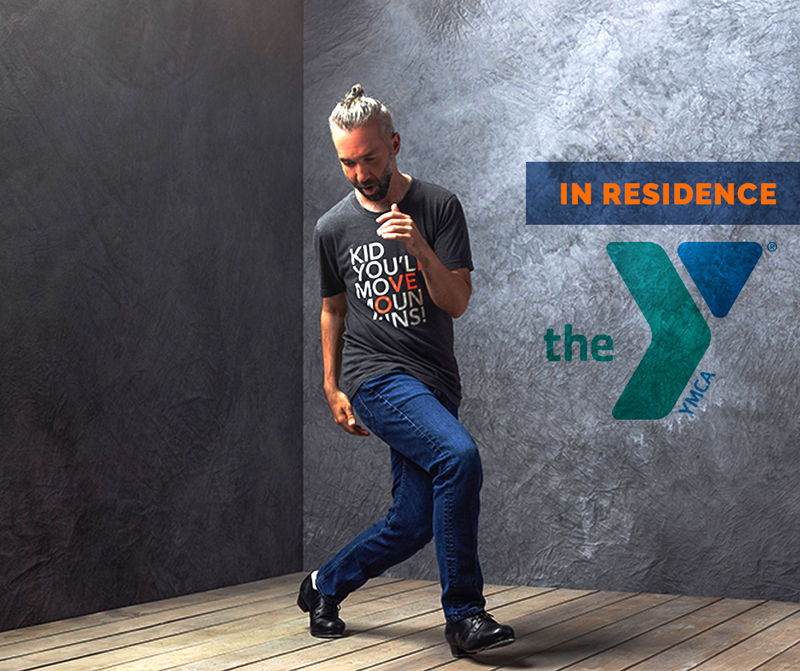 Since early 2017, Andrew has been working closely with the leadership of the McBurney YMCA in developing the tap dance program, now hosting 4 weekly tap dance classes of varying levels (all based on the Tap Dance Freedom method) and the quarterly Conversations Dance Party. “Finding good space in New York City is challenging, particularly for a tap dancer,” Andrew said, “so I’m very excited to partner with the McBurney YMCA to have a place to develop this new body of work.” Videos from Andrew’s classes are available online through Andrew’s Patreon Page. Andrew’s first online lesson is scheduled to be released in November. Andrew is joining a host of amazing artists and creators on Patreon. What is Patreon? Good question. Patreon is a crowdfunding and community building platform that is designed with creatives in mind. Unlike Kickstarter or other project based platforms, Patreon cultivates a community around the ongoing support of a particular person or endeavor. As Andrew’s work spans a number of pursuits and takes more of a long-term approach, Patreon is a well suited platform for the support of his work. Andrew is uniquely diverse in his work with projects in the worlds of preservation (Tap Legacy®), performance and storytelling (Andrew Nemr’s Artist Portfolio), education (Tap Dance Freedom), writing (Rhythm Theory Handbook), and gatherings (The Table). 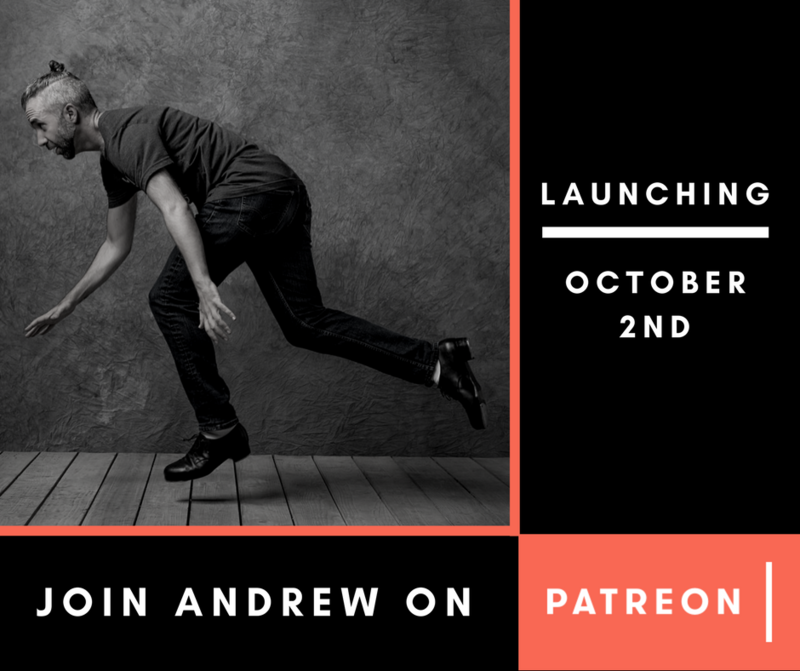 Patrons who support Andrew through Patreon will have access to Andrew’s weekly tap dance steps, writing drafts, video recaps of his weeks work, and more!! Check out Andrew’s Patreon Page here. Once you’ve checked it out, let Andrew know what you think here! BOISE, ID – Andrew Nemr has been selected as an artist-in-residence at Surel’s Place, a unique artist residency in Boise, Idaho. During his residency Andrew will be focusing on two new projects: a show and a book. The show, being co-developed with Flying Carpet Theater, will continue Andrew’s journey in exploring tap dance as a narrative tool in live theatre. The book, focused on tap dance education, will be the first written document based on the Tap Into Freedom curriculum and aim to offer tap dance educators with a comprehensive teaching methodology and toolkit. Additionally during his time in Boise, Andrew will collaborate with local organizations to spread his love for tap dancing through Meet the Artist events and workshops. He will also be continuing his Sunday afternoon gatherings around the Table. Cornerstone events include a workshop and end-of-residency performance organized by Surel’s Place. Mentored by Gregory Hines, Andrew is considered one of the most diverse tap dance artists today. Whether playing with Grammy Award winning musicians across multiple genres, directing his tap dance company Cats Paying Dues, or leading the Tap Legacy™ Foundation, Inc. (which he co-founded with Hines), Andrew has a reputation for deep understanding, integrity, and sensitivity. “A masterly tapper” (New York Times), Nemr now uses the story of his journey and the craft of tap dance to speak on ideas of identity, community, faith, and love, within the context of business and the performing arts. Surel’s Place, a non-profit artist-in-residence program, aims to support local, national, and international artists of many disciplines by offering them the time, space, and shelter necessary to focus on their work, which they will share with the public through free events including exhibits, classes, workshops, readings, lectures, and performances for people of all ages. Founded in 2012 by Surel’s younger daughter Rebecca Mitchell Kelada and Surel’s dear friend Karen Bubb, Boise’s city public arts manager, Surel’s Place aims to help artists focus on their art as a way to carry on Surel’s legacy in Boise’s vibrant arts community. Surel’s Place is funded through generous private donations and grants from the Idaho Commission on the Arts, among other organizations. NEW YORK – Cats Paying Dues (CPD) and founding artistic director, Andrew Nemr, will celebrate their 10th Anniversary Season with the world premiere of “Three Suites” at BMCC Tribeca Performing Arts Center (199 Chambers Street) for six performances only from May 13-17, 2015. “Three Suites” is a celebration of CPD’s history and a vision of the future featuring three suites of new work, each highlighting a unique interpretation of tap dance. The first suite, “Ever for Love” combines popular songs with tap dance to tell a story of the pursuit of love, reminiscent of CPD’s debut show “All For Love”. The second suite “Remembrances”, primarily an cappella work, combines rhythms from around the world with live vocals performed by the dancers themselves, and explores the universal nature of percussive dance alongside stories of love, longing, and strife. The final suite, Entering the Waters, a special collaboration with hammered dulcimer virtuoso and composer Max ZT, and his band, House of Waters, charts a path for the future of the company both aesthetically and as a forum for collaboration. The six performances will benefit Cedar Home for Girls, an orphanage in Nabay, Lebanon, that serves orphaned and at risk girls, and is currently challenged with an increased need due to the extreme circumstances in the region. This is of personal significance as artistic director, Andrew Nemr, is the son of Lebanese immigrants. In addition to performing with the company, Nemr will offer his unique brand of tap dance story telling as interludes between each suite. Andrew J. Nemr and Cats Paying Dues 10th Anniversary Season and World Premiere of “Three Suites” runs Wednesday – Sunday, May 13-16, 2015. Schedule is as follows: 5/13-5/15 at 8pm, 5/16 at 2pm and 8pm, and 5/17 at 2pm. An Artist Talk-Back will follow the May 16th, 2pm, performance. A VIP Reception hosted by Byblos Restaurant will follow the May 13th performance. Tickets for the performances are $33, $28 for Students/Seniors (with ID), $125 VIP (includes VIP Reception, May 13th only). All tickets are available for purchase at the box office (199 Chambers Street, New York, NY), by phone (212) 220-1460, or online at tribecapac.org. For more information about Cats Paying Dues, the 10th Anniversary celebration, and Three Suites visit www.catspayingdues.com. Mentored by Gregory Hines, Andrew is considered one of the most diverse tap dance artists today. His work as a soloist, educator, director of Cats Paying Dues (CPD), and co-founder of the Tap Legacy™ Foundation, Inc., has garnered him a 2012 TED Global Fellowship, a National Endowment for the Arts American Masterpieces: Dance Initiative Grant, a Flo-Bert Award for Excellence in Tap Dance, and multiple residencies through the CUNY Dance Initiative. Described as “a welcome return to the elegance of simplicity and the tap dancer as maker of aural magic” (exploredance.com) and “deeply touching” (Daily Gazette), Andrew has performed alongside the likes of Nat Adderley, Jr., Harry Connick Jr., the Duke Ellington Orchestra, the Lionel Hampton Orchestra, and the legendary Les Paul. Traveling internationally as a performer, educator, and speaker Andrew has appeared in Tokyo, Hong Kong, Taipei, London, Edinburgh, Berlin, Stockholm, Barcelona, and across the United States. Nemr as also brought tap dance to the Dominican Republic through an ongoing cultural exchange with the Civil Innovation Lab. Nemr appears on the Grammy nominated recording Itsbynne Reel by Dave Eggar, the DVD Documentary and companion album Tuesdays at Mona’s by Mona’s Hot Four, and as narrator of DanceTime Publications’ tap dance DVD, Tap Dance History: From Vaudeville to Film. Andrew has been blessed to receive the guidance of Dr. Bunny Briggs, Dr. Jimmy Slyde, Dr. James “Buster” Brown, LeRoy Myers, Ernest “Brownie” Brown, Henry “Phace” Roberts, Dr. Henry LeTang, Mable Lee, Tina Pratt, Dianne Walker, Savion Glover, Ted Levy, and Gregory Hines. Cats Paying Dues (CPD), now celebrating its 10th season, has been presenting critically and popularly acclaimed work since it’s debut in All For Love (2005, Mainstage Theatre at Playwrights Horizons). 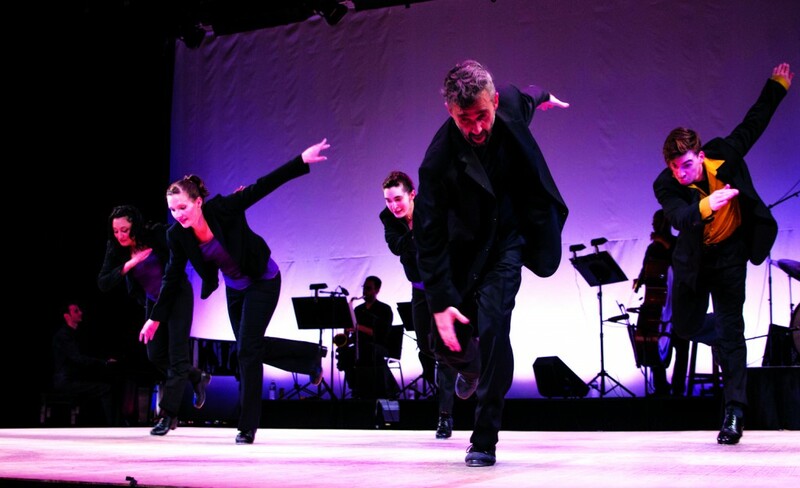 Subsequent seasons Where the Music Lives (2008) and Echoes In Time (2009) were described as “a welcome return to the elegance of simplicity and the tap dancer as maker of aural magic” (exploredance.com) and “the complete journey through American tap…” (the Daily Gazette). Other appearances include The Quarterly Arts Soiree at Webster Hall (NYC), Jamaica Performing Arts Center (NY), The Skirball Center for the Performing Arts (NYC), the Wesleyan University Center for the Arts (CT), Williams College (MA), MASS MoCA (MA), Symphony Space (NYC), and Celebrate Brooklyn! (NYC). Return performances include Norte Maar’s Fete De Danse (NY) the Tap Extravaganza (NY), DUMBO Dance Festival (NYC), and the Jerry Lewis MDA Telethon (National Broadcast). Residencies include BRIClab (NYC) and the CUNY Dance Initiative at LaGuardia Performing Arts Center (NYC). Engaged in outreach programs, Cats Paying Dues also presents Come Together, an anti-bullying school presentation based on personal stories from CPD company members, and the Narrative Arts Program, a curriculum-based dance and storytelling program developed in partnership with Global Arts Initiative and the Hudson Guild. Cats Paying Dues is Mallory Davis, Jess Gersony, Naoyuki Hashimoto, Adele Joel, Alexander MacDonald, Carlos Morales, Allie Pizzo, Jason Stump, and Thomas Sutter. Described as “A sight to behold” (TimeOut NY), House of Waters embraces the multi-layered sounds of the world. All virtuosos in their own right, Max ZT (hammered dulcimer), Luke Notary (percussion), and Moto Fukushima (six string electric bass), have collectively traveled the world, performed, and recorded together and alongside some of today’s most notable musicians including Pt. Ravi Shankar, Victor Wooten, and in Cirque Du Soleil productions. “One of the most original bands on the planet” (NY Music Daily), their unique style is a product of intense collaboration and a love of music and its power that is infectious. Tap Into Freedom in 2014!!! On January 1, 2014 Andrew will launch Tap Into Freedom, a complete program of FREE Webinars, a 50-hour Intensive, and Private Coaching services. The cornerstone event of Tap Into Freedom is a one-week long intensive to be held July 14-19th in New York City. Featuring over 50 hours of training, guest faculty, and the opportunity to audition privately for Nemr’s tap dance company Cats Paying Dues, Tap Into Freedom, is poised provide a new kind of tap dance educational experience. The curriculum is designed by Nemr himself and is informed by Nemr’s unique journey having been initially trained in both musical theatre and rhythm tap traditions and later been guided by many recognized master tap dancers including Tony Award winners Henry LeTang, Savion Glover, and Gregory Hines. In short, the curriculum focuses on providing each student with the context and tools they need to more efficiently self-propel their tap dance education. Free Webinars hosted by Nemr will be held throughout the year with topics geared towards students at varying levels as well as tap dance educators. Private coaching sessions with Nemr will also available online and in person. For those interested in The Intensive but unable to attend, the Tap Into Freedom Intensive is available to tour and the curriculum may be modified to fit unique contexts. For further information, registration and inquiries visit the Tap Into Freedom Website. Mentored by Gregory Hines, Andrew is considered one of the most hardworking and diverse tap dance artists today. Whether playing with Nat Adderley Jr., directing CPD PLUS, or co-founding the Tap Legacy™ Foundation, Inc., Andrew has garnered a reputation for impeccable musicianship, sensitivity, and respect for the craft that he loves. A 2012 TED Global Fellow and the artist in residence for the Quarterly Arts Soiree (QAS) at Webster Hall, Andrew received an NEA Masterpieces: Dance Initiative Grant to reconstruct the works of classic tap dance soloists, garnering critical and popular acclaim upon their presentation in Echoes In Time. Collectively, Andrew’s choreography and solo work has been described as “a welcome return to the elegance of simplicity and the tap dancer as maker of aural magic” (exploredance.com) and “deeply touching” (Daily Gazette). An internationally recognized performer and educator Andrew has performed alongside the likes of Nat Adderley, Jr., Harry Connick Jr., the Duke Ellington Orchestra, the Lionel Hampton Orchestra, and the legendary Les Paul. He has also traveled internationally to present his unique performance style and educational approach including Tokyo, Hong Kong, London, Edinburgh, Berlin, Stockholm, Barcelona and across the United States. Nemr appears on the Grammy nominated recording “Itsbynne Reel” by Dave Eggar, the DVD Documentary and companion album “Tuesdays at Mona’s” by Mona’s Hot Four, and as narrator of DanceTime Publications’ first tap dance DVD, Tap Dance History: From Vaudeville to Film. Andrew has been blessed to receive the guidance of Dr. Bunny Briggs, Dr. Jimmy Slyde, Dr. James “Buster” Brown, LeRoy Myers, Ernest “Brownie” Brown, Henry “Phace” Roberts, Dr. Henry LeTang, Mable Lee, Tina Pratt, Dianne Walker, Savion Glover, Ted Levy, and Gregory Hines. (New York, NY) – Artistic director of the tap dance company Cats Paying Dues/CPD PLUS, and co-founder of the Tap Legacy™ Foundation, Andrew J. Nemr was recently announced as a member of the 2012 class of TEDGlobal Fellows. As part of the class of 2012 Andrew stands among 19 other innovators from around the world who have been hand-picked to be brought to the TED stage. As a TEDGlobal Fellow, Andrew will participate as a full member of this year’s annual TEDGlobal conference in Edinburgh where he will deliver his own TED Talk before an audience of hundreds, and have an opportunity of having his talk posted on TED.com. The fellowship continues throughout the year with ongoing coaching, mentoring and collaboration within the TED community. Mentored by Gregory Hines, Andrew is considered one of the most hardworking and diverse tap dance artists today. He performs regularly with Nat Adderley Jr., Max ZT and House of Waters, as one half of the 1to1 Project with Sean Hagerty, and with his own band, the Andrew J. Nemr Quartet. Additionally Andrew is the director and artistic director of his own tap dance company CPD PLUS (Cats Paying Dues) and co-founder of the Tap Legacy™ Foundation, Inc. along with Gregory Hines. The artist in residence for the Quarterly Arts Soiree (QAS) at Webster Hall, Andrew is also the recipient of a National Endowment for the Arts Masterpieces: Dance Initiative Grant for the reconstruction of the works of classic tap dance soloists, garnering critical and popular acclaim upon their presentation in Echoes In Time (2009-2011). As an international teacher and performer Andrew has garnered a reputation for impeccable musicianship and sensitivity in performance, and respect for the craft that he loves. Collectively, Andrew’s choreography and solo work has been described as “a welcome return to the elegance of simplicity and the tap dancer as maker of aural magic” (exploredance.com) and “deeply touching” (Daily Gazette). Follow Andrew on Twitter at @andrewjnemr, or on Facebook atfacebook.com/andrewjnemr. TED is a nonpro?t organization devoted to Ideas Worth Spreading. Started as a four-day conference in California 25 years ago, TED has grown to support those world-changing ideas with multiple initiatives. The annual TED conference invites the world’s leading thinkers and doers to speak for 18 minutes. Their talks are then made available, free, at TED.com. TED speakers have included Bill Gates, Al Gore, Jane Goodall, Elizabeth Gilbert, Sir Richard Branson, Nandan Nilekani, Philippe Starck, Ngozi Okonjo-Iweala, Isabel Allende and former UK Prime Minister Gordon Brown. The annual TED conference takes place each spring in Long Beach, California, along with the TEDActive simulcast in Palm Springs. TEDGlobal is held each summer in Edinburgh, Scotland. TED’s media initiatives include TED.com, where new TED Talks are posted daily, and the Open Translation Project, which provides subtitles and interactive transcripts as well as the ability for any TED Talk to be translated by volunteers worldwide. TED has established the annual TED Prize, where exceptional individuals with a wish to change the world are given the opportunity to put their wishes into action. TEDx offers individuals or groups a way to host local, self-organized events around the world, and the TED Fellows program helps world-changing innovators from around the globe to become part of the TED community and, with its help, amplify the impact of their remarkable projects and activities. Follow TED on Twitter at @TEDNews, or on Facebook atfacebook.com/TED.